I’m a fan of both OS 3.x and OS 4.x in terms of the way they look. I remember in the 90’s, screenshots were all the rage. There’s even an aminet location for just Workbench screenshots. – Install AfAOS4.7: This is AROS for Amiga. It is part of the AROS source, ported to classic 68k Amigas and allows for advanced skinning of windows, and the use to TrueType fonts. I found that that built in installer didn’t do what it should have. I ran the installer than manually copied over the other files. The guide file included will tell you what to copy for manual installs, and where to put changes into the startup-sequence to work. Once that is done, and you restart, you can then run the pref programs to add TTF font files and set them up in the Fonts pref program. Also, you can pick the preinstalled skin (or download another from Amiga Look). There is one that makes it look like the Amiga OS4.1 windows. I think it doesn’t work nearly as well unless you have some soft of RTG system. This would mean having either Picasso96 or CyberGraphX (3 or 4) installed along with an RTG graphics card (like native ones such as Picasso, CyberVision, etc) or something through a PCI adapter like Mediator or Prometheus. Also, I wouldn’t do this on anything less than OS3.9 with the 4 boing bags installed. – Get custom icons. For OS4.1 appearance, Mason Icons are freely available online. There doesn’t appear to be an auto-installer to magically replace all of the icons.You can look up how to change the default icons, or you can indivdually right click an icon, select information and drag a new icon from a pack you’ve downloaded over the image of the icon in the information windows. Slow but worth it. To take any png file and make it into an icon, you can copy it to your amiga, change the extension from .png to .info, then bring up it’s information window, and drag the image in there to the image of a target icon you want to change. Very cool stuff. Just those two will do wonders for your classic, OS 3.x system. I think AROS has an OS4.x theme, and if you are using MorphOS and want to change, there is a theme on morphos-files.net that is called ofour that will do the work for you. And don’t forget to check the software archive locations I mentioned in an earlier post. When I left the Amiga-scene in 1998, there was only a single OS that we used: Classic 68k Amiga OS. Sure, proDad tried to make pOS. I remember the pre-release, but it seemed to be highly dependent upon the kickstart ROMs. I kept an eye out on AROS, then later, I read that 3.5 and then 3.9 were coming out. I played with UAE from it’s first PC version even when it was really “Unusable”. (It’s worth noting that various distro’s of AROS support ARM (raspberry Pi, classic AGA Amigas, and maybe a few other platforms, but I’m focusing on x86 as it appears to be most mature). Classic Amiga OS does seem to not only have a life on original Classic Amigas, the the expansions that are available are limited. Besides some accelerators that top out at MIPS ratings that are a decade behind current PC/Mac hardware, a few amiga-specific hardware as well as PCI adapters, the future of classic Amiga can be found in either emulation or related technologies. I’ve used WinUAE and it makes for amazingly fast Amiga systems, but it’s hard not to know it’s running on top of Windows. Back in the early 2000’s, there was a pathway to lead to migration to x86 hardware via Amithlon, but the litigious nature of Amiga-land let to that becoming derailed. I have an old laptop running Amithlon and it “feels” more like a real amiga than any emulation. I’ll make a post on that machine soon. AROS is probably a great, long-term path for Amiga users, and will probably be the first to have multi-processor support, as well as the power to handle ports of high-end games and apps from other systems. However, it’s slow to advance. AROS has been in the works since the mid 90’s and is only recently feeling like a good, working system. Maybe I need to spend more time testing it. MorphOS is a great alternative and, apart from AROS, is the most easy to get started with. Whereas AROS involves nearly any old PC hardware and a burned ISO, MorphOS can be run on cheap, used mac hardware, which can be found on ebay for less than $100 USD. It’s fully working for 30 minutes at a time, is very much structured like classic Amiga OS and supports newer tech like USB and even the fastest PPC Apple machines made, and also runs classic 68k software natively and can even run WarpOS games made for Amiga PPC accelerators. It also sports the most advanced webbrowser right now in the Amiga world. Amiga OS4.x is limited to hard-to-find and expensive hardware and appears to be maturing slowly. However, they recently implemented over-the-internet live updates, have ports of QT, X11 servers, a new Amiga Java client, and many more software packages that make life a little easier. No downloadable demos of their OS though. I think it was a mistake for Hyperion not to try to get wider distribution by supporting older apple hardware like MorphOS but I’m sure they have their reasons. It’s hard to tell now which OS will come out on top or if we start seeing some merging or some dropping out. However, there are lots of available paths to take, depending on your needs and your means. Personally, I have a classic machine (a 1200 tower in progress), an amithlon laptop, a PowerBook G4 (MorphOS) and 2 AmigaOne machines (AmigaOS4.0 and 4.1). I hope to make an older tower into a dual-boot Amithlon/AROS machine and start whittling down my collection. Which path did you follow? When I tell people I’m an Amiga enthusiast, I sometimes get the question: “Why Amiga?” Why waste your time with some ancient, hobby computer/OS when you could have a brand new PC, or Mac, or Tablet? Why Indeed? Why would someone not upgrade to Windows 8.1 when they are happy with Windows 7? Why would someone purchase a classic car when they could get a new or nearly new car for not much more? Apple successfully ran an ad campaign called “Think Different”. Many of their 90’s infomercials were about being different from PCs running Windows. From an OS point of view, Amiga and it’s variants (AROS, MorphOS, classic 3.x and NextGen 4.x) are missing some pieces out of the box that many computer users would expect by default (like USB stack, a modern web browser, a TCP/IP stack, etc), but it was the dedication of the users and 3rd parties that caused these pieces to be written/ported and added back in. If using a Mac with OSX is thinking different, then using an Amiga with an Amiga-type OS is REALLY THINKING DIFFERENT. It’s also about personal preference. I prefer to use an OS that I can easily understand and know how to make work/fix. There are so many layers in Windows/OSX and even Linux that can make using/fixing it not an easy task. Amiga can also be hard at times, but it’s straightforward. You know what happens during startup by just looking at the startup sequence, user start and the WBStartup folder. Some like to play their retro games. That’s not a concern for me, but I know that many still love their retro games. Some are into the comoputer race for processing power. A classic Amiga running even a 68060 or a MorphOS or AmigaOS4.x machine running PPC won’t compete with the latest x86 machine. Even my phone with an ARM processor is far more powerful than my old A1200 or A3000. For the software I ran on those machines, it didn’t matter. It wasn’t until I got my recent 8-core AMD FX8350 running at nearly 4GHZ, running Windows 8.1 that I finally saw the boot times that were common place with my Amiga 4000T’s running 68040/25Mhz and OS3.9. Nothing shuts down faster than my MorphOS laptop or AmigaOne machines. It may sound minor but I feel the difference. With the latest OWB (and maybe Timberwolf, haven’t tried it yet), MorphOS and AmigaOS4.x can give me every bit of usability that I get running windows or osx, with the exception of some embedded videos, but we know people are working on that now. With AmiCygnix, my AmigaOne Micro-A1C can give me a fully useable, modern Word Processor if I needed it. If I wanted to run games, I would fire up my Windows Machine or pull out my PS3. Even though I have very powerful OSX machines, I don’t bother running games on there. My windows machine, in my case, is for games, some Windows-specific tool development, video conversions and a few other specific things. I don’t need my Amiga’s to do that. I plan to make a setup at home that has a Windows machine back-end that my Amiga will use for some background task. One of those things will be to have Windows running Dropbox and mounting the Windows folder that Dropbox uses as a shared drive on my Amiga Desktop. Voila! I have Dropbox on Amiga without having to write or wait for someone else to write the software needed. I don’t HAVE to have only 1 single machine to fulfill my computer needs. I PREFER The Amiga (and Amiga-like) Operating Systems, even though I know that it can’t do everything I would ever want right now. I can make due with dealing with the other systems out there when I need them and use the Amiga because I WANT to. Maybe something got installed that messed up the boot up. Maybe a device driver was added to the DEVS: folder and isn’t working right. How do you fix this if it is something that happens before you can get into Workbench to change it? Well, you could do old-style and boot from something other than the harddrive (like a floppy or CD). Or, for those of you that aren’t afraid of a command line interface, you can start up your Amiga, and have it skip the startup-sequence script and take you right to a promnpt, where you can copy, delete, rename, etc and back the changes out. 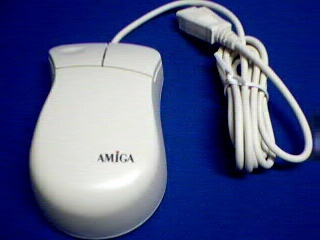 Well, I knew how to do this on Classic Amigas: hold down both mouse buttons as you startup. You’ll get into the early startup screen. From there, you can change a few things, check out the expansions attached and click the “Boot without startup-sequence button. The caveat was that it had to be a mouse plugged into the real mouse connector. Having a USB mouse on a USB connection wouldn’t work as the USB software stack wasn’t started until after the UI comes up and then it is too late. Hold down the left CTRL button on the keyboard when it is doing the initial kickstart files loading and before it goes to the splash screen. Then, you get to the command line. The caveat here, at least for these machines, is that it has to be a mouse plugged into the PS2 (round) mouse port, not a USB mouse, which I’m assuming is the same reason as with classic machines. I hope that helped someone! There are other places where software may be found, but these are the main archives and would probably have most of what people would need at first glance. Well, the Author of that Raytracing program used to make it available to others along with source code but he eventually lost it. Well, someone has found a copy of one of the shared disks and it came complete with the source code. It was made available online. Get it -> here <–.